Brad began his spiritual journey in August of 2008. 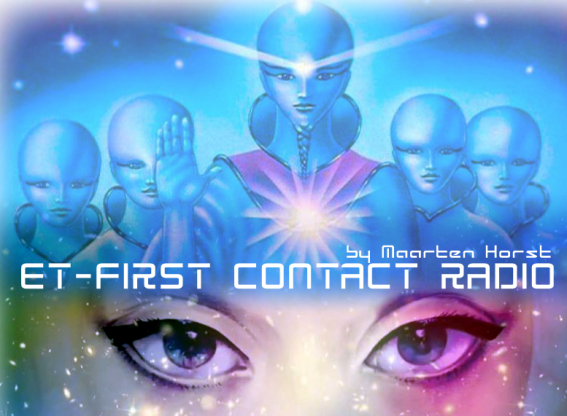 With the idea of creating a fascinating science fiction novel that was based around the presence of extraterrestrials and what would happen if they came upon Earth today, Brad wanted this novel to be very authentic and truthful when it came to this theme of story, so he began to do some intense research on experts, contactees and channelers to hear their viewpoints on life beyond our world. Brad's research on the extraterrestrial presence revealed some very extraordinary findings: many ETs are human in appearance, they are highly spiritual and base their existences on becoming one with an infinite creator. He also discovered that through meditation, many people are able to communicate with these beings beyond our world and receive profound galactic/universal insight. This research was astonishing to Brad and he could feel an immense transformation beginning. 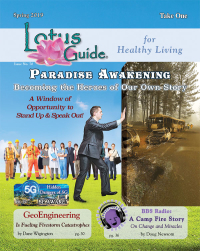 These discoveries caused him to begin a personal journey that started with simple meditation. Brad decided to put his novel aside and devote his focus towards a pursuit that had been lacking throughout his entire life: re-gaining his spiritual connection to all things. Brad began meditation by taking out a book from his local library called "Learn To Meditate: A Practical Guide to Self Discovery and Fulfillment". Brad read this book from front to back within about 5 days. He performed many of the methods contained within the book and for the first time in his life, he began his journey into meditation. Brad's discoveries through the meditative state were astounding. He could feel his entire body reacting to the centeredness of meditation. He could feel his energy field tingling, growing, expanding, spinning, tilting as well as feel every part of his body becoming enriched with divine universal energy. Through his dream state, Brad was experiencing profound encounters with higher dimensional entities that were completely without any known form. He encountered what could only be explained as "non-physical classrooms" where he was being downloaded with astonishing information ranging from a variety of different topics: from the properties of oneness and universal mechanics to the understanding of self empowerment and the creation of all life. Brad had awoken with inspiration filling his being as everything relating to the expansion of humanity and reality that was not being commonly discussed throughout popular mainstream sources. It was through these profound discoveries that Brad decided to create an online community that comprised of psychics, intuitives, healers and metaphysical experts/seekers. Throughout this community, Brad was able to get further involved through his exploration of expanded consciousness and began to learn through many others' techniques ranging from channeling, extra sensory perception development and energy healing. Throughout the weeks that went by, Brad was developing his skill through the process of automatic writing: the ability to communicate with an extension of one's own consciousness through the mediumship of writing or drawing. Throughout many of Brad's conscious contacts with other consciousnesses via automatic writing, Brad received advice from one of his channelingmentors to direct his energy towards the star known as Sirius A, otherwise known commonly as the dog star as there was a feeling of a message that was looking to come through. Brad tuned into the energies of Sirius A and this was the first contact he had with an entity known as Adronis.Adronis began his association with Brad under the means of a soul contract. This entailed that this other consciousness extension of Brad residing from the fifth density plane of Sirius would act as a mentor for him as he worked to expand himself further through his channeling ability. 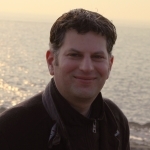 Throughout the months ahead, Brad was able to channel Adronis further not only as a benefit to his own learning, but for the benefit of others asAdronis was willing to share his profound knowledge and inspiration with anyone who would be in resonance for contact. In the summer of 2009, Brad transcended his ability to channel from automatic writing into vocal dialogue channeling. Brad found this method to be much more convenient as it formed a personalized relationship between him, Adronis and others that were in resonance with Adronis' energies. Between the years of 2009 and 2010, Brad was also expanding his knowledge in many different avenues alongside his ability to channel. In 2010, Brad founded his very own energy healing system known as Symbol Release Healing. Brad was also fascinated relating to methods that allowed him to connect directly to the akashic records. The process was somewhat similar to the nature of channeling, and within a short period of time, Brad became very proficient at accessing energetic data from the realms of the ether within an Alpha brainwave state. Throughout the upcoming years, Brad was offered to join several seminars and conferences along the west coast of North America: from his local area of Vancouver, BC, Canada to Seattle, Washington, Portland, Oregon and many regions across the state of California. Throughout the span of December of 2009 to the approaching end of 2012, Adronis has shared a vast degree of knowledge and wisdom through Brad regarding a broad range of subject matter: personal and professional transformation, self empowerment, personal healing, history of mankind, our Earth, galaxy and universe, ET contact and disclosure, the power of paradox, evolution past polarity & much more. Throughout Brad's ability to strengthen his connection as a conduit functioning as an ally of universal knowledge, Brad had reached the point where he is able to consciously connect to his own soul matrix and retrieve specific subject matter. This ability has been termed by Brad as a "Conscious Matrix Communicator." 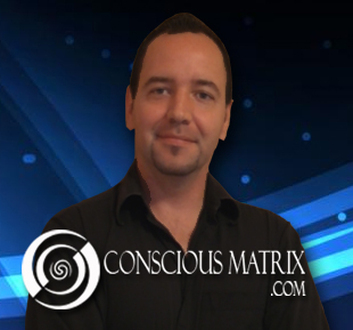 In December of 2012, Brad introduced his newest energy healing concept that was developed through his connection of Conscious Matrix Communication. This newest healing system is known as Body Regeneration Healing: the ability to work through one's soul matrix utilizing holograms and one's own natural intuitive state to repair the body and purify the flow of energy through the means of "4D healing". Brad has mentioned on many occasions that there is really nothing special about what he does. It is an ability that everyone has access to. Whether one wishes to become a channeler or a conscious matrix communicator, it's all within our grasp. All it requires is the commitment to live all elements of what such a lifestyle represents. We are all gifted in our own ways and will express our gifts in the themes that best suit us. Brad's job has always been to awaken, inspire and expand, and this is what he aims for with dedication through every person he interacts with.